No stops for film changes. 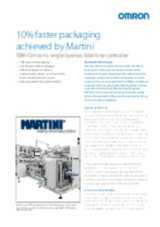 Not only is Martini’s new HFFS (Horizontal Form Fill and Seal) system 10% faster in production, it also enables automatic changing of packaging films without machine stoppages, saving time and eliminating waste. 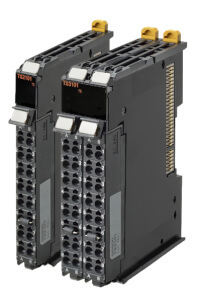 It’s thanks, in part, to Omron’s new single NJ501-1400 Sysmac Machine Controller, which recently replaced two separate controllers to provide unified control of Martini’s highly popular MLV130 system. A system that now has a double-sealing head and Long-Dwell profile, as well as a volumetric dosing unit for fast, precise weighing. 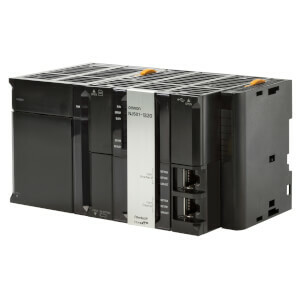 Also, a new Omron temperature controller in the system helps to reduce the time needed to reach the right sealing temperature and to maintain the right temperature during machine transitions, such as machine start/stop or production speed changes. 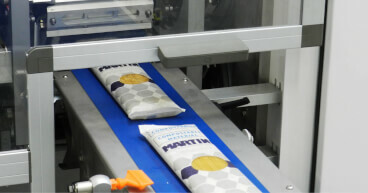 High quality sealing is becoming increasingly challenging as the industry moves to more sustainable packaging solutions, which range from thinner plastic films to multilayer packaging and recyclable films for eco-packaging. 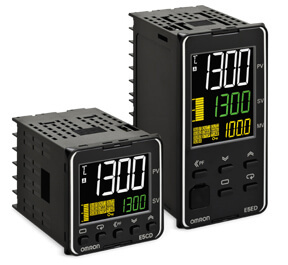 Now these challenges are being fully met with the new Omron temperature controller, which reduces the time needed to reach and maintain the correct sealing temperature during machine transitions such as machine start/stop or production speed changes.